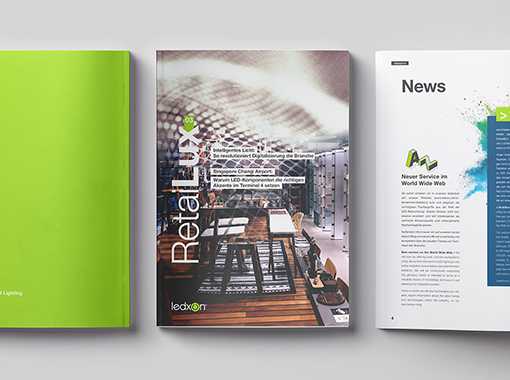 The third issue of “RetaiLux” has arrived! As usual, ledxon’s company magazine provides bilingual information on the latest trends in the lighting industry and provides insights into the LED expert’s most important projects. In addition to background information on the famous petal clouds at Changi Airport in Singapore, there are exciting details on our German Design Award winner, Tracklight TL1, and on the logistics processes at our location in Masów, Poland.